On Saturday 3 March, Manchester Collective will premiere Daniel Elms’ newly-commissioned 100 Demons, inspired by Japanese folklore and the political ruminations of 2017. 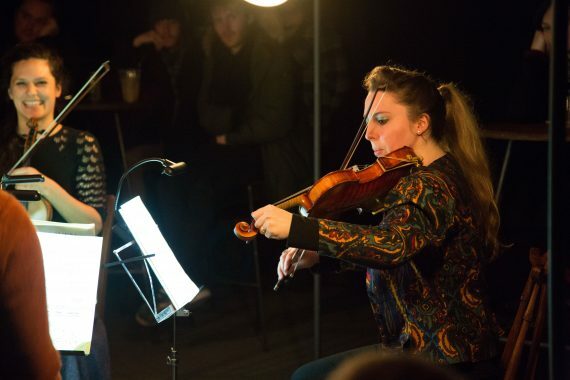 The piece will be at the heart of a concert of music that combines live strings and electronics, written by living composers and legendary figures of twentieth-century music. We got in touch with Daniel to learn more about 100 Demons, to talk about the music he loves and to find out excites him about music in society today. We’d love to know a bit more about the commission. In the words of Manchester Collective, 100 Demons comes from “a very unusual place” – what inspired the piece? “100 Demons” is my response to the ugly unveilings of 2016-2018, which revealed plutocracies where democracies once — allegedly — stood. The composition is a manifestation of my frustrations and feelings of disempowerment in the face of governance that, at the cost of the many, distorts and obscures in the name of personal, political and financial gain. The work reflects on this subject by using extreme abstractions of traditional Japanese music and folklore. On the few occasions I’ve been able to see traditional Japanese theatre, or performances by contemporary music groups, such as drumming troupe Kodo, I’ve been amazed by the drama and choreography instilled into every aspect of the performance — even just a performer’s entry on to the stage. To my eyes and ears, accustomed to Western formats, the hyper-dramatic spectacle, language and characters of Japanese folklore is something truly magical and other-worldly. I used my experience of this wonderful culture to provide a stark contrast between the composition’s representation of the real world, the concert hall before the audience, and the “other”, the hyper-dramatisation of movement and sound; the world as it truly is and the world as we perceive it. The show in March is about music for live strings and electronics – can you explain what that means? The musical possibilities that physical tape provided, such as cutting, splicing and phasing, are all still readily available through digital recording technology — arguments about recorded aesthetic notwithstanding. In 100 Demons, I’ve used the “tape” element of the composition to host a series of un-pitched vocals and harmonic fragments, which I recorded with the Collective back in November 2017. By using pre-recorded strings and voices, I was able to manipulate the line between reality and myth; to keep the audience guessing as to which sounds are truly being “performed” and which are obscurations. 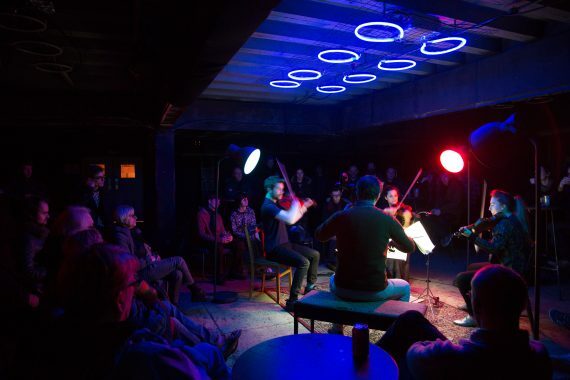 In concert, by placing speakers in between members of the quartet and sending specific pre-recorded signals to individual speakers, the composition is able to provide localised sources for the pre-recorded material: presenting a phantom string quartet that sits amongst Manchester Collective. The Collective’s Artistic Director Adam Szabo played cello on my album “Islandia” last year. We soon found a couple of different ways to work together after discovering our mutual passion for contemporary music and a desire to redefine the sound and experience of the concert hall. We hear music written by living composers every day in the media, but new music performed live in concerts represents a small part of what audiences get to hear. Do you think there’s a need for more new music be performed and heard? What can new music do to contribute to culture and society more widely? For me, the best thing any new artistic work can contribute to culture and society is an honest reflection of its creator and the time and place in which it was created. In the present, we can use such works to explore subjects, ruminate, or bring matters to the attention of others. As time moves on inexorably, we can then use these cultural “artefacts” to navigate our history and see humanity’s impact upon itself, for better or worse. Because we as a species are in a perpetual state of social evolution, there will always be a need for new artistic works. How we consume these works is also evolving. We are living in a time where curators will soon be queens and kings, if they are not already: the overwhelming amount of new music is incomprehensible and, unless you devote all your time to consumption, you must find a way of filtering the information into streams that are comprehensible. Moving forwards, I see live music being an ever-more important element of how this musical information is disseminated. What motivates you as a composer? I’m really excited about where my music is taking me. I’m exploring beyond the boundaries of the concert hall and the stigmas of “contemporary” music: I’m working towards experiential shows that combine music and light; traditional, acoustic instruments and new music technology — it really is such an exciting time for live music. But that’s just the format. The music has to be about something and mean something, it can’t just be the output of a method, school, formula, or be there to appease another’s sense of aesthetic. My music has to have a humanist agenda in mind at all times; it has to relate to me, my experiences, or the experiences of others and reflect upon that. I aim to create music that presents a subject and then provides the space for both me and audiences to reflect upon it. Is there a piece of music you recently discovered that you loved? HK Gruber’s evocative “Zeitfluren (Timescapes)” and a fantastic album by Dai Fujikura and Shin Sasakubo called “Manayachana”. 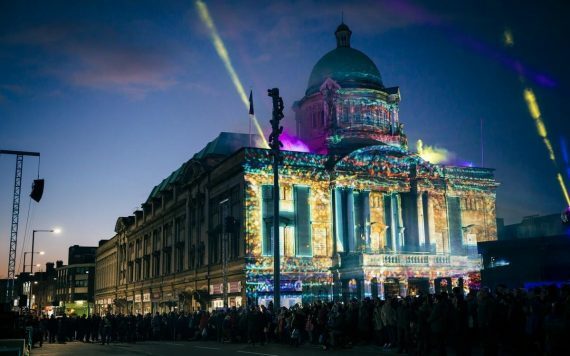 As well as composing, you’re helping to develop a new recording and performance space in your hometown of Hull. 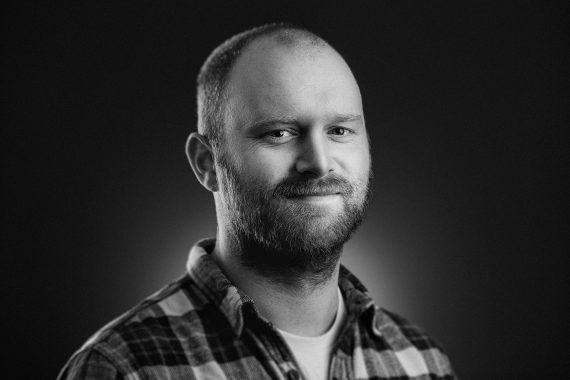 Can you tell us a bit more about the project? I’m working with a Hull-based charity called Penny Red Arts to create a new arts hub in the North of England. There is a huge demand within Hull for the resources and infrastructure to support the city’s artisans and creators. City of Culture 2017 has done wonders to stabilise the platform on which culture is consumed, but we’re looking to support those who create. To do this, Penny Red Arts is renovating the Conservancy Building in Hull’s Old Town into an AAA-class recording and performance space. The site is a wonderful grade II listed building, in which we’re going to install studio space for visual artists, authors, printers — you name it. We’re also looking at a library, a cafe, and our jewel in the crown is the old hall, which will be used for performances, recordings and curated events, which is how I factor into all of this. We’ve already started recording artists in the hall and getting a feel for how we want to develop the performance and recording side of the site — quite an endeavour considering the building has no electricity, a single working tap and only a few ceilings at present; recording a doom metal band in the middle of Winter was something I won’t forget in a hurry. When the site is completed, Penny Red Arts will curate and programme events for both creators and consumers: we’re already working on an advanced music recording and mixing classes with engineers from Abbey Road Studios and Air Lyndhurst. If you had a time machine, what time or moment in the history of music would you like to visit? I’m going to presume that “future history” is an option, given that you’ve a time machine handy, so I’d go forward four-hundred years and see how the music of today is perceived by future generations and hear how today’s schools of composition and theory evolved. I’d also like to see if the film “Bill and Ted” accurately predicted that music would be responsible for world peace — be excellent to each other.